What do all successful text message marketing campaigns have in common? They all give the consumer something for free. As a business owner you may wonder how giving away something is going to benefit your company, as it seems this is going to cause a loss of money. But, when you look deeper at this you can understand it fully and will want to immediately start giving stuff away! There’s something special about the word free that instantly draws attraction to it, and this is the first way that you start benefiting with text message marketing. When you have those four letters attached to your text marketing campaign advertisements it will certainly cause the people to stop and stare for a moment. And if the free offer is good enough, when they stop they will do so with full intentions of giving you their number so they can take advantage of the offer. Once they’ve signed up on your marketing list the next step is to pay your business a visit to take advantage of their freebie. Yes, they’ll use the freebie you’re giving them, but it is also very likely they’ll spend money, too. When a customer has been given something for free the benefits go deeper than what you may realize. One of the most important things that a customer demands when they’re doing business with a company is that they feel connected to your brand. When you give them something for free they feel as if you’re a company that cares about them and that they are a part of the fun. Your freebie also gives the consumer the chance to experience something they may have never before, and if they like it they will want to tell all of their friends about it. A new drink, a new hair color, a new game of golf –no matter what it is your freebie can help build great interest in no time at all. You can also count on them to come back for more with each great offer you send out! So, as you can see, there are a ton of fantastic benefits offered when you are giving something away for free as an incentive to join your text message marketing list. 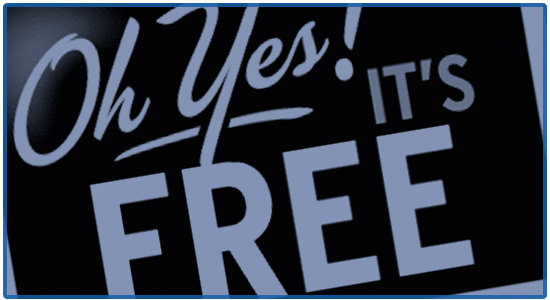 If you’re not already giving out that freebie you’re really missing out. The biggest benefit of all is the fact that you can build your text marketing list. This means that you have plenty of numbers to promote future offers to, whether it Is a big sales event, offer a sample or a coupon or to announce a new store opening. The more great offers that you send to their mobile device, the more business you can bring through the door. And, you can use text message marketing as frequently as you need to in order to spread the word about what you’re offering. It is true that quality is more important than quantity, but you can worry about that later down the line. The first thing is building that list. Otherwise there’s no point in having a text marketing campaign since there is no one there to promote to. The best way to get those names is to give them something for free. The more names that you have on the list, the better things are going for you and all of your marketing efforts. No, not everyone will stay after they get past the initial freebie, but most will, looking forward to what you are going to give to them next. Whether you’re a restaurant offering a free meal or a hair salon offering a free service, you can build your list in tremendous fashion when the word free is included in your campaign.